A clear winner in Creative Mindworks - Creative Mindworks, a Miami Florida based internationally ranked integrated marketing and advertising firm, solutions driven and Thinking Fresh Daily! 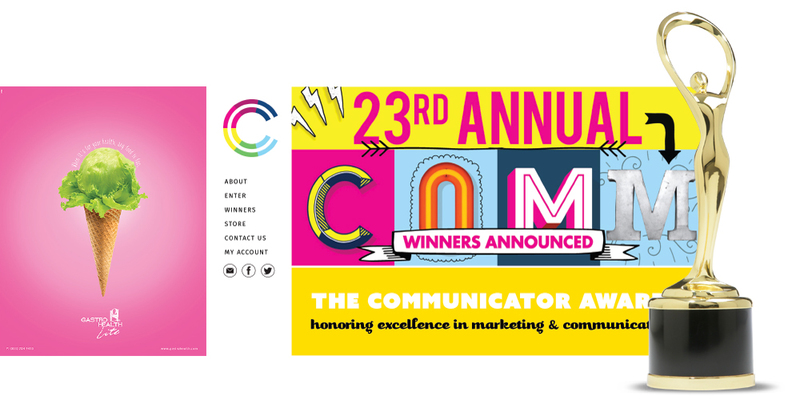 Creative Mindworks, a full-service integrated advertising agency in Miami has been awarded the Communicator Award for their work on behalf of client Gastro Health Lite. The agency won the award in the Print Advertising category. The competition consists of over 1,000 entries each year. CMW’s winning entry, “Ice Cream”, was part of their effort to publicize Gastro health’s nutritional education and weight loss program. It was inspired by the need to show how eating healthy food can be just as fun as eating “junk” food. The creative team was asked to create a visually arresting ad that could be understood immediately and work as well on a billboard as in print. The resulting ad, an ice cream cone with a head of lettuce on top, over a neon pink background captures the reader’s attention instantly and immediately communicates the idea of making healthy food fun.